Participating in sport outside their school’s own facilities gives pupils the chance to test their mettle in unfamiliar surroundings, often after having journeyed overseas. These trips require responsibility of children and can open their eyes to different cultures, building an appreciation of others’ lives. Skiing in particular can dazzle the senses, requiring concentration in thrilling, occasionally chilling, environs. Sometimes, PE comes with a history lesson. The girls also enjoyed a six-day ski trip to Serre Chavalier, France. Such trips enhance their technical ability and challenge them to play and compete in different environments, improve their modern foreign language skills and immerse themselves in different cultures. Every two years Rydal Penrhos School organises a 10-day ski trip to the USA or Canada, staying in destinations such as Jasper, Vermont and New Hampshire incorporating stopovers in cities like New York, Boston and Los Angeles where full programmes have included visiting Harvard University and Alcatraz, as well as cycling over the Golden Gate Bridge. Llandovery College recently visited Compiègne in France to participate in the Armistice Rugby Festival. British, German and French pupils competed in a sevens tournament with the college fielding three teams in the U16s and U18s categories. Players gained experience of and took inspiration from the different styles and standards of play. Off the pitch it was a chance to meet socially with pupils of different nationalities, getting to know each other and sharing experiences. Tours such as this broaden youngsters’ knowledge and horizons, encourage a sense of adventure and independence, and in this case deepen their knowledge of events of world significance. The tour was not only about rugby, combining as it did tours of the battlefields around Compiègne and the Somme, and a multi-faith remembrance service on Sunday 11 November. On a more immediate and personal level it gave pupils the opportunity to honour the 82 former pupils and masters from Llandovery College, some not much older than themselves, who had lost their lives in the Great War. The trip combined sport, education and remembrance – important life lessons and experiences that will live long in their memories. 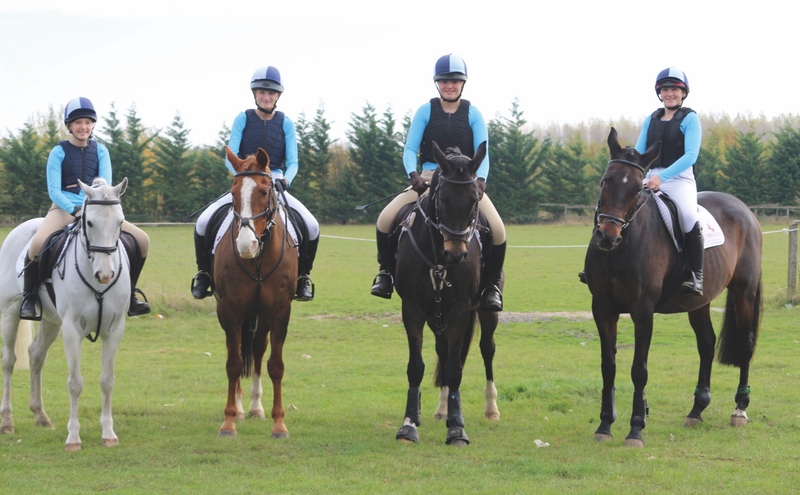 Oundle School prides itself on offering trips to give pupils the chance to experience different sports, cultures, languages and environments. December’s junior ski trip, open to pupils in the first, second and third form, is based in Courmayeur, a historic village on Mont Blanc’s Italian side, with pupils enjoying five days of ski instruction followed by a wide variety of après-ski activities. 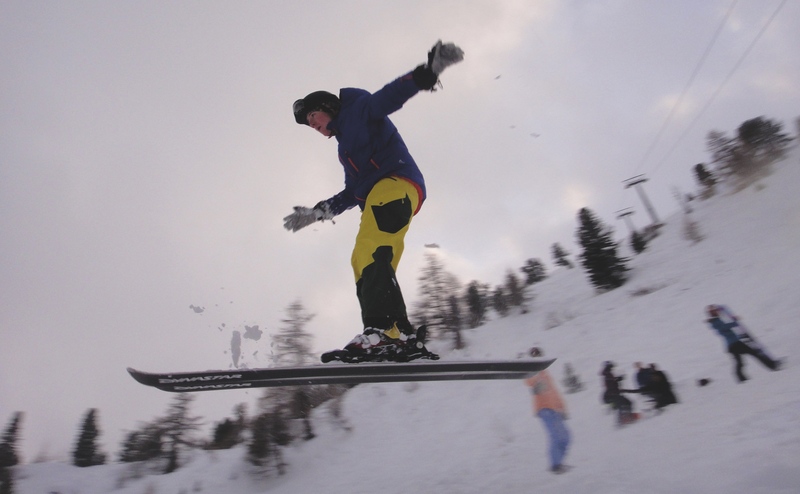 The CCF ski camp has a different focus, being run and designed by Major Andrew Mansergh, a housemaster and CCF commander. With its own team of 10 BASI instructors, the camp runs annually in the February half-term in the small Swiss resort of Siviez, for 62 cadets aged from 15- to 18-years-old. Skiing runs from 9am to 4pm, with groups continually under instruction. Additionally, the cadets are encouraged to focus on teamwork and looking after the others in their group. The evenings are filled with activities including a torch-lit descent of the mountain, ten-pin bowling and a trip to Sion’s hot baths. Sports tours at Oakham School are a vital part of sports players’ development. Every three years, a major sports tour is organised, the school’s biggest trip on the calendar and a highlight for all those embarking upon it. “Our aim is to ensure as many Oakhamians as possible are able to enjoy and benefit from the experience of playing sport overseas,” said Director of Sport, Iain Simpson. Last year saw over 140 Oakhamians travel throughout South Africa playing rugby, hockey and netball on four different tours; 12 teams training and playing challenging matches at sea level and the high veldt’s elevated altitudes. As well as sports fixtures, students had the opportunity to enjoy the experience of being in South Africa (climbing Table Mountain, surfing and going on spectacular game drives), along with taking time to support local charities and imbue the culture through billeting with local students. Oakham has also been running ski trips since the 1960s. Each year there are two trips, with around 75 middle and upper school students (13- to 18-year-olds) going in December, whilst around 40 lower school (10- to 12-year-olds) pupils go in March/April. 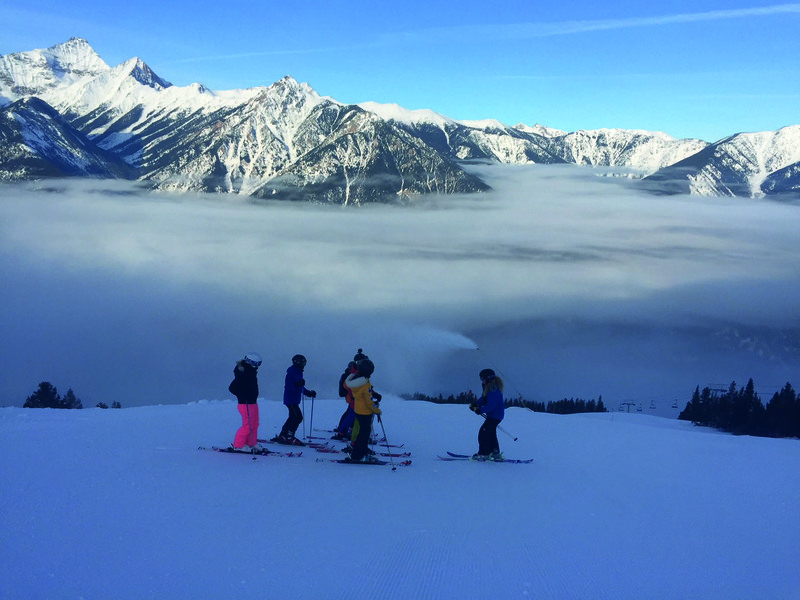 St Mary’s Colchester’s pupils have been hitting the ski slopes for over 10 years, with well-established senior school trips to the iconic Alpe d’Huez and Years 5 and 6 girls more recently visiting Serre Chevalier. In such trips girls can learn a new sport or hone existing skills while skiing’s kit-heaviness means pupils develop personal responsibility, a vital life lesson. Year 9’s Pyrenean outdoor pursuits trips push girls outside of their comfort zone, learning how to challenge fears and assess risk. In 2019, pupils will take a basketball tour to Denmark, allowing them to experience their sport in a new, international environment. 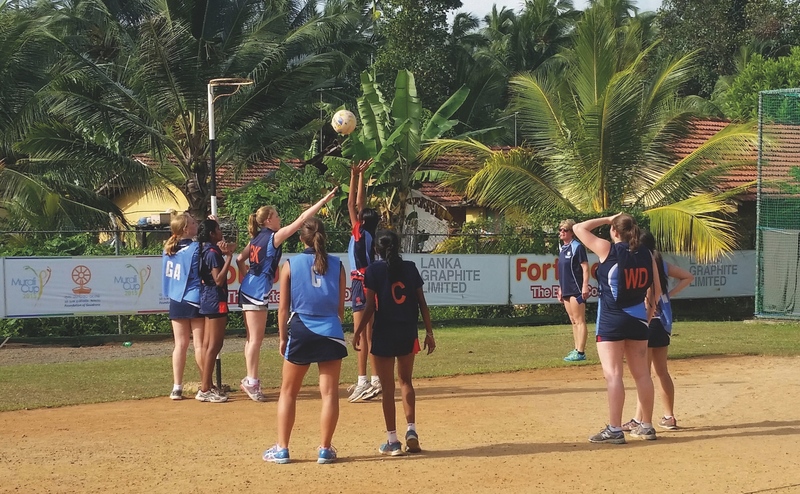 In 2016 Leweston School embarked on an exciting 10-day trip to Sri Lanka, packed with sports events, sightseeing and all the culture the Indian Ocean island had to offer. Pupils played competitive netball matches against local schools, including the national champions and took part in a swimming gala and two aquathlon events – a 300m river swim and 2km jungle run plus an out-and-back 400m lagoon swim and 2km beach run. The tour’s most poignant moment saw pupils play netball alongside children affected directly by 2004’s tsunami. Pupils raised £300 for the Red Cross to assist those devastated by floods and mudslides just prior to the tour, raising awareness of the need for charity work. Several pupils returned to be regular netball squad members for the first time while some continued to play at university and others returned to the turtle sanctuary they had visited in 2016 on their gap year. The memories made and experienced gained through external sports trips will linger long after any bumps and bruises picked up on ski slopes and rugby fields have disappeared. Rather, the pupil returns with fear of the unknown diminished and confidence raised, emboldened by an awareness of what they can achieve, individually and with others, through sporting endeavour in unusual hot or cold climes. Irrespective of any trophy hauls, the player comes home to familiar surroundings a winner, ready to next take the field with a greater sense of purpose and endeavour brought back from their exertions on the road. What do schools have planned for sport in 2019? The Spring issue of ISS is out now!